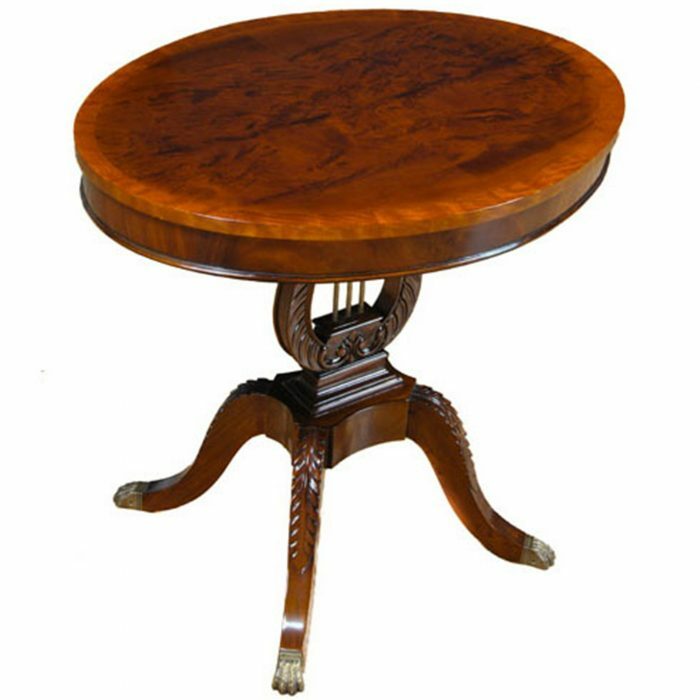 A Round Cocktail Table of the highest quality, produced by Niagara Furniture. 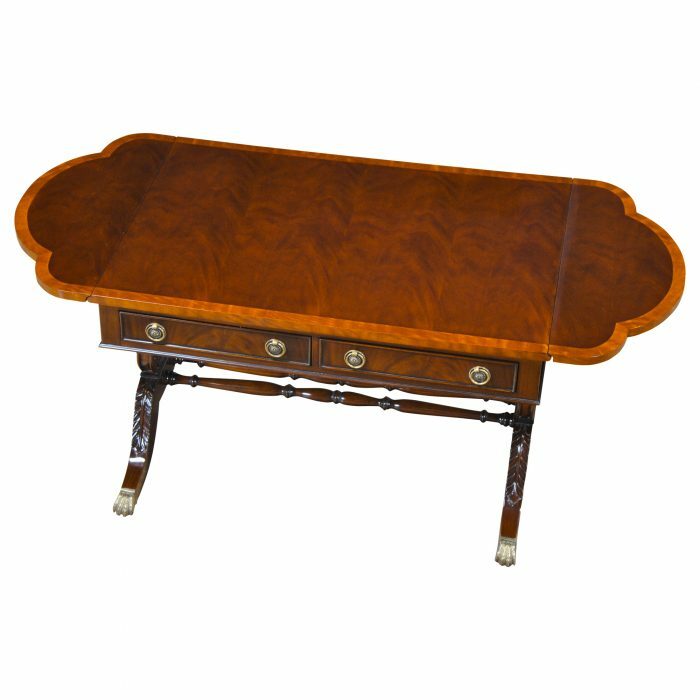 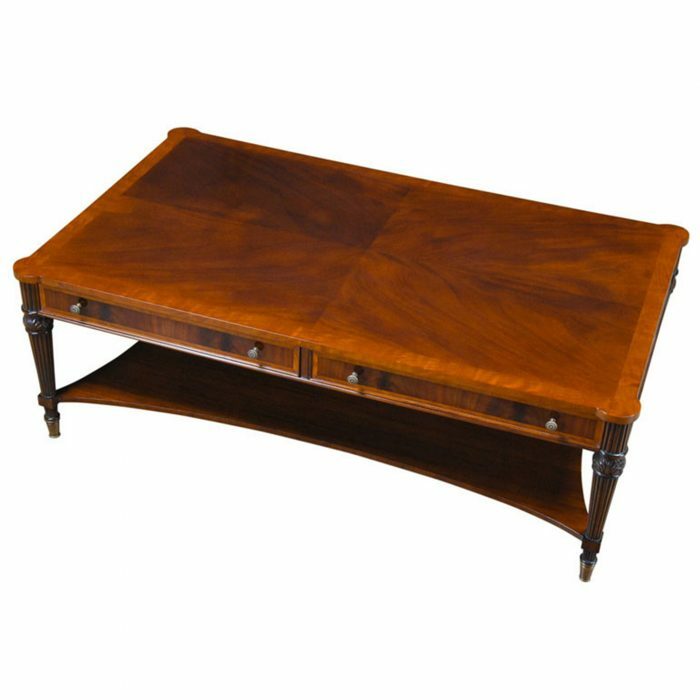 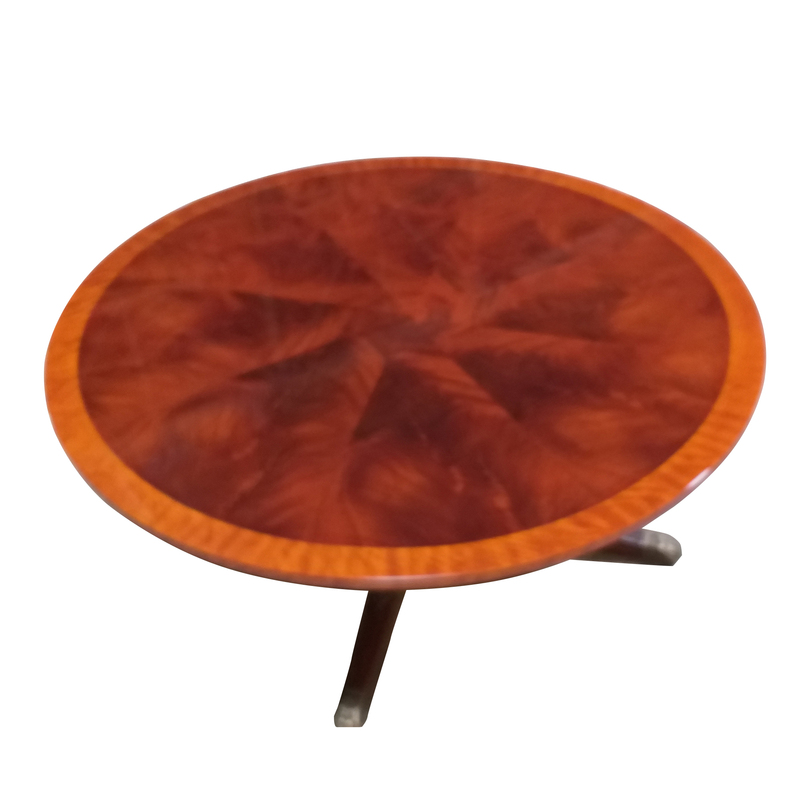 Satinwood banding surrounds a field of pie shaped, figured mahogany to form an elegant circular top. The circle shaped top allows for ease of movement around the table when walking but also gives the greatest amount of space for placing objects and drinks. 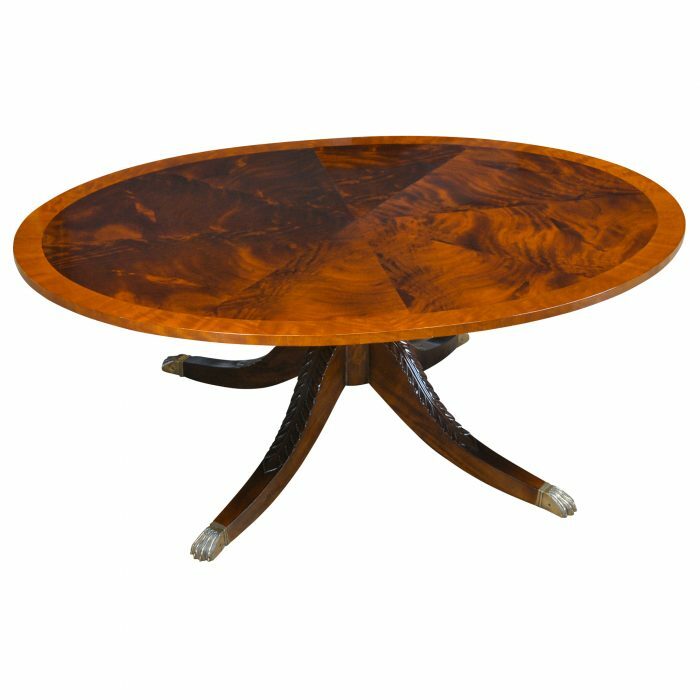 A 20th century invention the cocktail table also became known as a coffee table during the prohibition era. 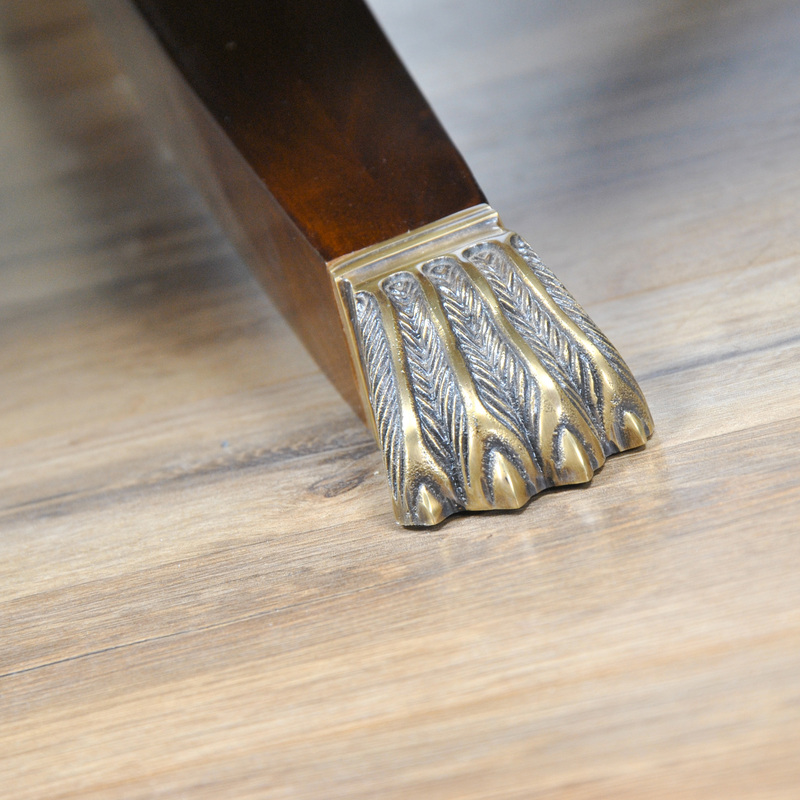 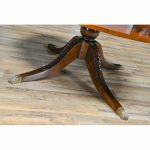 The base is hand carved from solid mahogany and further hand carved elements on the sweeping legs end in solid brass feet. 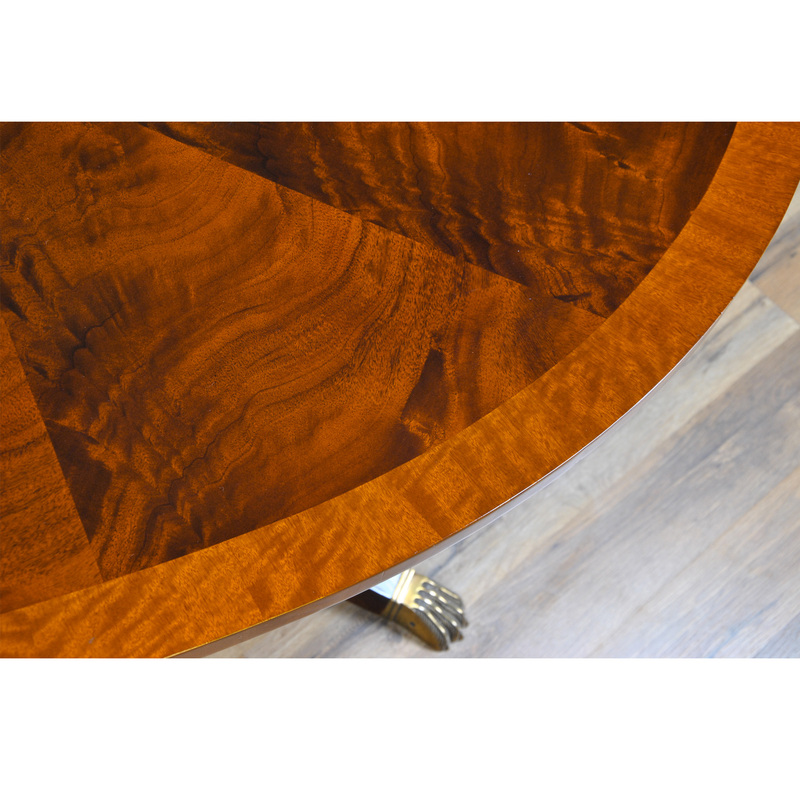 Clean design lines help the Round Cocktail Table fit into any setting.